Ping is a network utility to check the connectivity between two nodes in a computer network. Ping sends ICMP packets to the destination device and if the packets reach the destination successfully, the source device will receive ICMP replies. If the ICMP packets failed to reach the destination, we will get ping packet loss reply. ICMP is the short form of Internet Control Message Protocol. To check the connectivity of a destination host, say a website, follow the instructions. type ping [Destination Address] and press enter. It is important to learn the operation of ping utility. When we ping a destination host from our computer, ping sends ICMP echo request packets to the destination. Normally ping sends four packets and then wait for the ICMP reply from the destination host. If the packets reach the destination host successfully, our computer will receive ICMP reply from the destination. If there is no valid ICMP reply from the destination, ping displays packet loss message. Based on the status of ICMP echo packets send, we may get different types of ICMP replies. 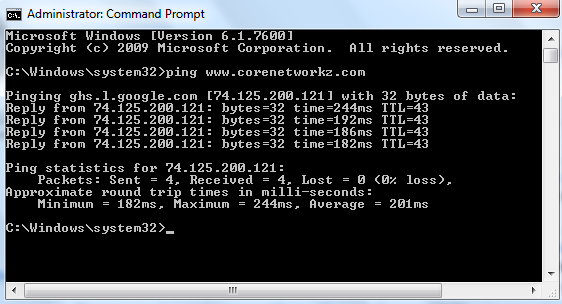 Ping utility is used to find if a particular host is accessible or running. The same utility can be used to prevent a destination host from working smoothly. Here I give a list of tutorials tell the malicious use of ping utility to disturb the normal operations of devices connected to the Internet.